The defending champions were firing at all cylinders on the road. 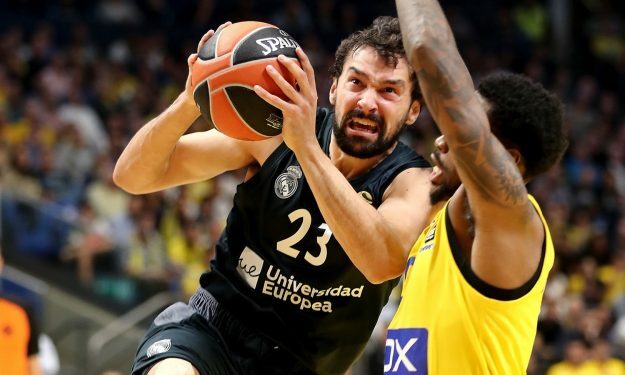 Real Madrid was the favorite despite playing on the road, but nobody expected an 87- 66 blow out win for the “Whites” against Maccabi FOX Tel Aviv. Playing without Jeremy Pargo and Tarik Black, the hosts simply couldn’t keep up with Madrid’s shooting. First, it was Jaycee Carroll who scored 14 straight points and made four threes by halftime to make the score 41-23. After that, Sergio Llull went to work and finished the game with 17 points and five made threes, not leaving any breathing room to Maccabi. The hosts scored just eight points in the second quarter and couldn’t get close after that. “At the beginning, we were missing easy jumpers, open jumpers“, said coach Pablo Laso. “When we started to make them and we created the difference, in the second half we controlled the situation pretty well.” Real Madrid entered the last quarter leading by 22 points (66-44) and the game was practically over. Ramon Sessions made his EuroLeague debut with the home team and scored 11 points, but couldn’t make a real difference. The Spanish team dominated the boards, grabbing 43 rebounds. Maccabi had just 26 and got 17 points by Johny O’Bryant who also finished the game with seven rebounds. This win was by far the biggest for Real Madrid on the road against the Israelis. The “Whites” finished the game making 15 out of 31 threes.